Forrest, Karl - Groelle & Salmon P.A. Mr. Forrest is a Partner in the Tampa office of Groelle & Salmon, P.A., focusing his practice primarily on first party property and insurance coverage matters. 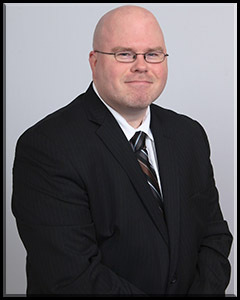 During his legal career, Mr. Forrest has represented dozens of insurance companies and multiple governmental entities in a variety of insurance-related matters throughout the State of Florida. He has also successfully represented several clients in a number of complex litigation cases in both state and federal court. Aside from his extensive civil litigation background, Mr. Forrest has further represented clients in appeals before the Florida Supreme Court, Second District Court of Appeal, Fourth District Court of Appeal, Fifth District Court of Appeal, and various Florida Circuit Court Appellate Divisions. Mr. Forrest is licensed to practice in all state courts in Florida, as well as the United States District Court for the Southern District of Florida.